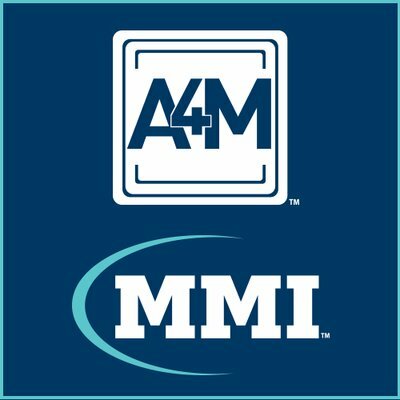 Do I Have to Take Testosterone Injections Very Often? There are different types of testosterone formulas, some act faster, and/or last longer than others. The most commonly prescribed form of testosterone is testosterone cypionate. For most men, 100 mg. a week of testosterone cypionate is an effective enough dose for testosterone replacement. 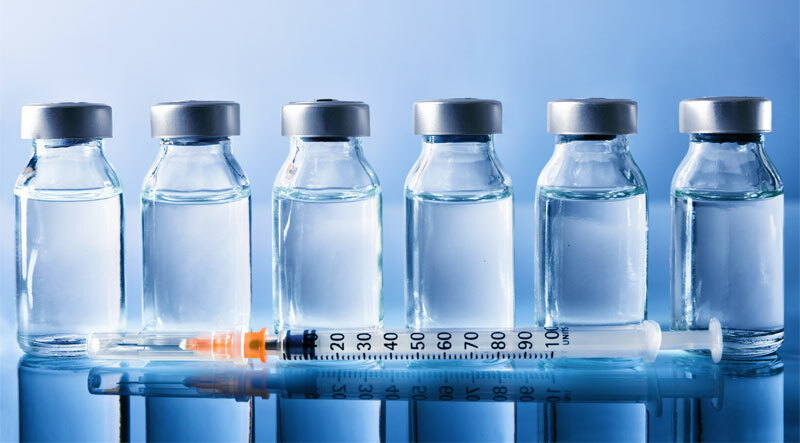 Patients who are considering testosterone injection therapy, often wonder how often they have to take testosterone injections in order for them to be effective. 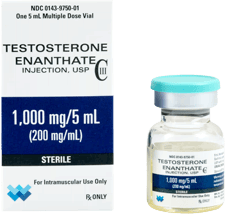 There are basically two types of testosterone injections prescribed for low testosterone in the US, testosterone enanthate and testosterone cypionate. 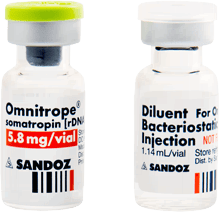 Most of the well-known brand names of testosterone injections are prescribed as testosterone cypionate. For most men, 100 mg. a week of testosterone cypionate is an effective enough dose for testosterone replacement. But, since testosterone injections are prescribed on a very individualized basis, you could need more, or you could need less. 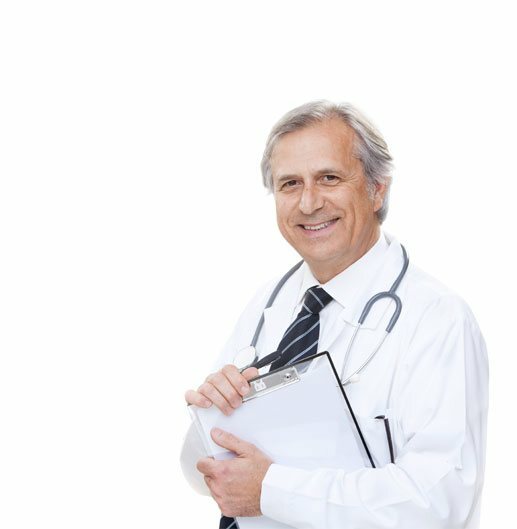 Testosterone cypionate lasts in the body for about 7 to 8 days, so regardless of your recommended dose of testosterone, you will probably need to take your testosterone shots once a week, or twice a month. 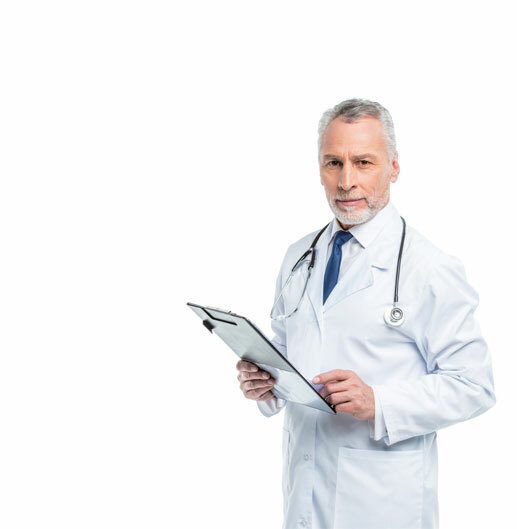 If you and your doctor decides that weekly testosterone injections are right for you, you will be advised to take your testosterone injections the same day every week. 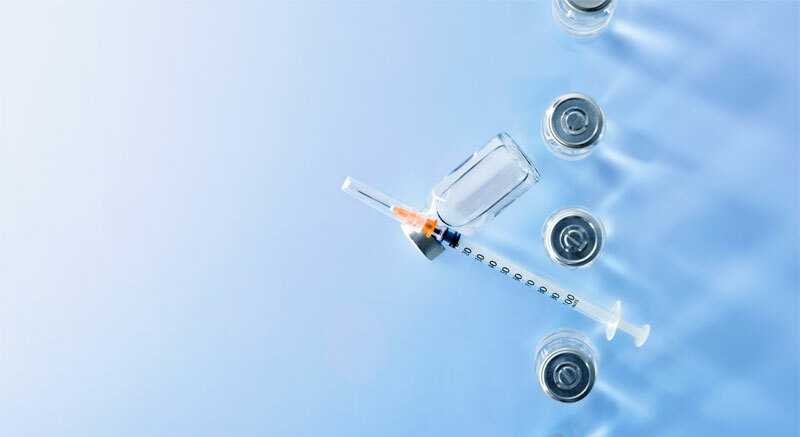 Even when you are taking testosterone shots once per week, you may still start to feel run down, or show other signs of low testosterone between injection days. If this is the case, you may be advised to split your prescribed dose in half, and inject twice a week instead of once a week. This can help to avoid major spikes or fluctuations in your testosterone levels. 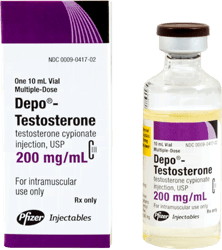 One way or the other, on average, men who are prescribed testosterone injections for low-T will be taking testosterone injections every 7 to 22 days. Basically, your testosterone levels will peak by about the third day after your testosterone injection. After that, your levels will start to decline, until they are boosted back up again by your next scheduled testosterone injection. For most men that cycle will be every 7-8 days. 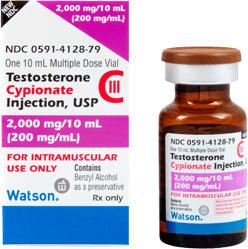 Most of the well-known brand names of testosterone injections are prescribed as testosterone cypionate. For most men, 100 mg. a week of testosterone cypionate is an effective enough dose for testosterone replacement. Where Do I Give Myself Testosterone Injections? 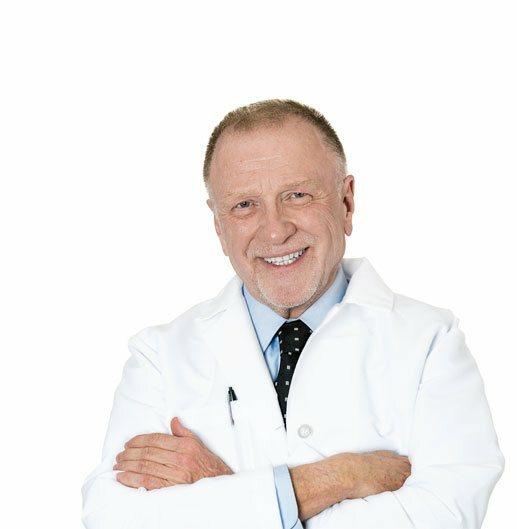 In addition to knowing how often to take testosterone injections, it is very important that you learn where to give your testosterone injections. 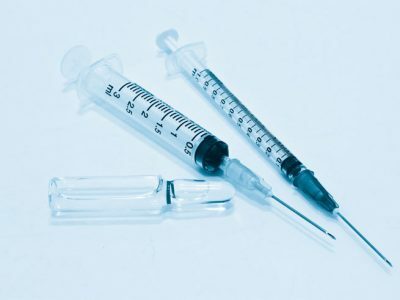 Testosterone injections are given into the muscles. 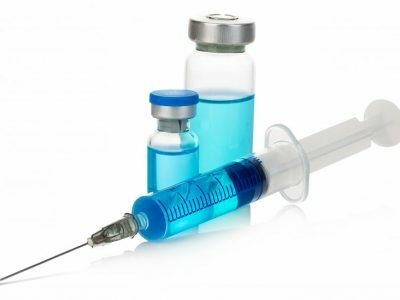 The most common injection sites for testosterone intramuscular injections are the biceps, the buttocks, or the upper thigh. Most patients find the muscle on the outside of the upper thigh, which is known as the vastus lateralis, to be the easiest injection site to access. 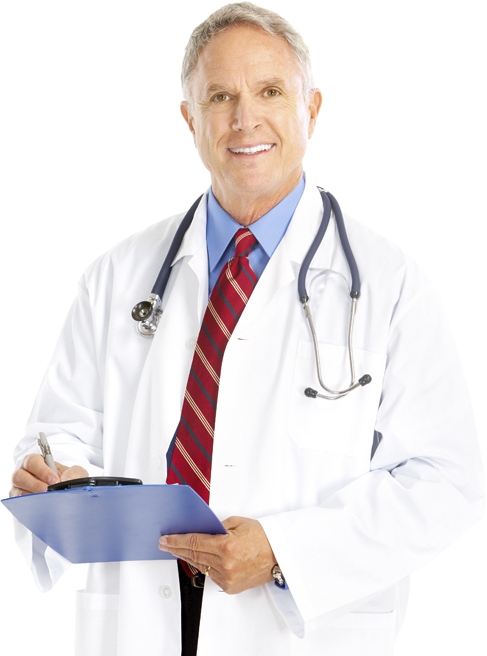 Wherever you choose to inject your testosterone, proper care must be taken to avoid infection and other complications. Regardless of your recommended dose of testosterone, you will probably need to take your testosterone shots once a week, or twice a month. When done correctly, testosterone injections should rarely be painful. 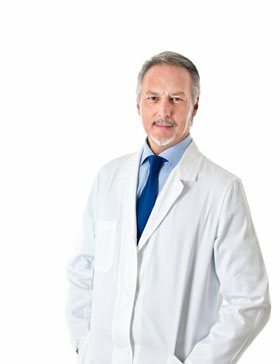 Minimizing discomfort in taking testosterone injections has a lot to do with learning the proper technique. The most important thing when giving testosterone injections is to observe sterile protocols. That means first choosing a clean place to lay out all of your testosterone injection supplies. Next, to avoid possible infection and contamination, it is critical that you wash your hands very well with a good antibacterial soap. Then, use rubber or latex examination gloves to maintain cleanliness throughout the administration of the testosterone shot. Only use your testosterone injections as directed by your prescriber. Never take more than your prescribed dosage, or take testosterone injections more often than instructed by your physician. 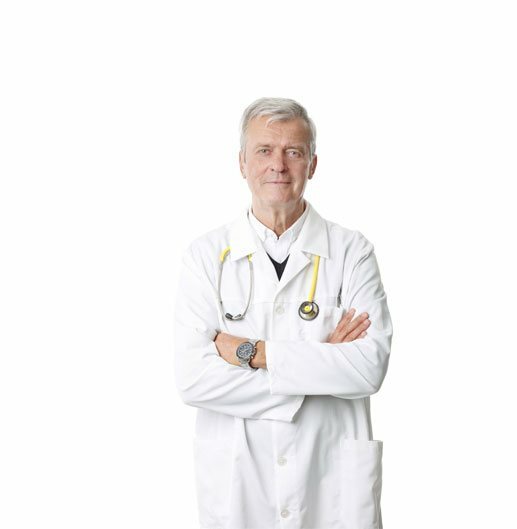 If you follow the advice of your doctor correctly, you should experience little or no pain, and few if any side effects from testosterone injects. 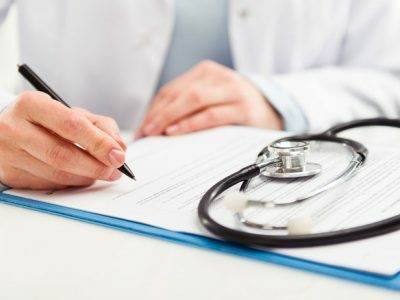 If you do feel pain, or see redness or inflammation around your injection site, cease taking your testosterone injections and contact your physician. 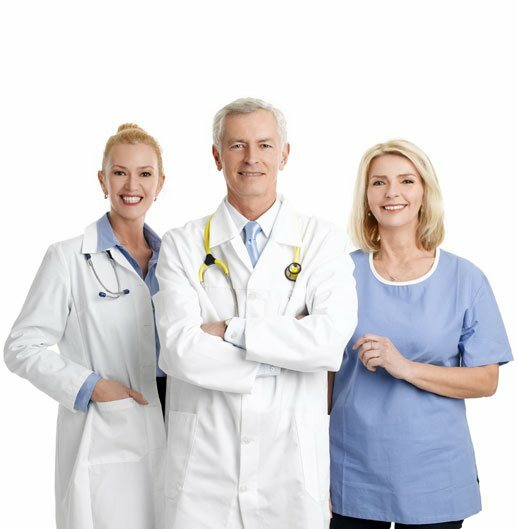 Once you learn how to give yourself testosterone injections, the procedure will be rather easy. Here are the basic steps of giving yourself a testosterone shot. 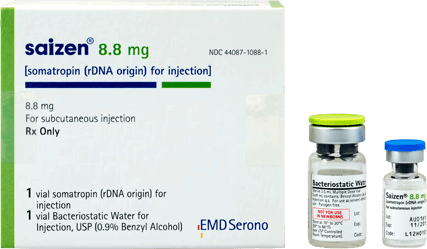 Step 1 – Clean the top of the vial of testosterone with an alcohol swab. Depending on your dosage, each vile of testosterone will likely contain more than one dose, so it is important that you clean it before each use. Step 2 – Open the sterile package containing the syringe. Your testosterone injection kit probably came with two needles — a larger one, 18 gauge, and a smaller one, 25 gauge. Use the larger of the two, the 18 gauge, to draw the testosterone from the vial into the syringe. The smaller needle is used to give the actual testosterone shot. Once you have secured the larger needle to the syringe, remove the protective cap. Then depending on your dosage, draw air into the needle until the plunger is at your prescribed dose. Now, with the vial still upright, pierce the top of the vial with the needle, and inject that same amount of air as your dose into the vial. In a smooth motion turn the vile upside down, with the needle still in it, and slowly draw the testosterone back into the syringe to the desired dosage. Step 3 – Once you have drawn the right amount into the needle, recap it, and remove that needle, and replace it with the smaller, 25 gauge needle. Now it is crucial to get any air bubbles out of the syringe to avoid a serious complication known as an air embolism. Tap the side of the syringe, and squirt a little of the liquid testosterone out of the top. This will remove all air bubbles. Step 4 – Now prepare your chosen injection site with an alcohol wipe, and let it dry. Insert the needle into the injection site in a quick smooth motion. Draw back on the needle a little and check for blood in the syringe. If there is blood in the syringe, you have inserted the needle into a vein. Remove the needle and move to another area of the thigh or muscle you have selected. If there is no blood in the syringe, depress the plunger for a count of about 10 seconds, then pull out the needle in one swift motion. Some formulations of testosterone recommend massaging the area after the injection., Ask your doctor, or consult the insert that came with your testosterone prescription to see if massaging is recommended. 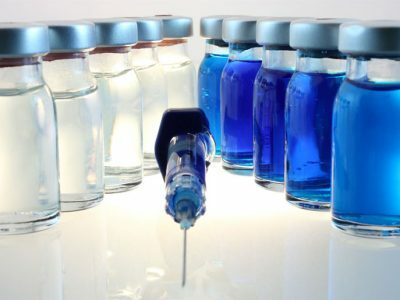 How often you take your testosterone injections will not impact the many benefits you can receive from testosterone therapy. Thinking that you can increase your benefits by taking your testosterone injections more often is a fallacy. In fact, if you take your testosterone injections more often than your doctor prescribes, you could do more harm than good. 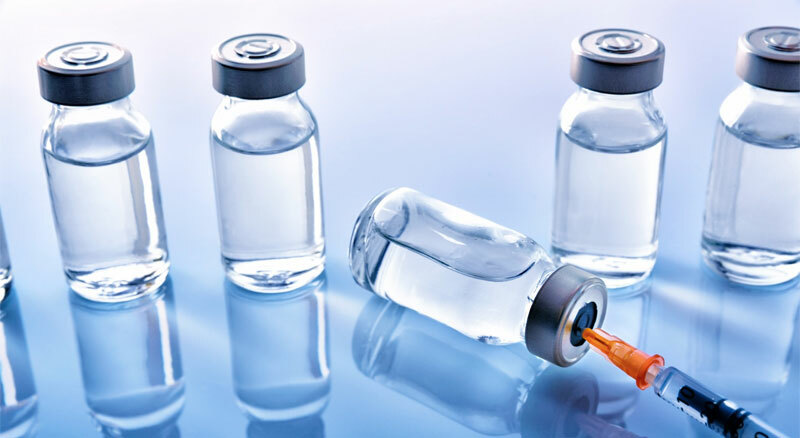 Now that you know a lot more about how to give testosterone injections, and what they can do to improve your life, why not contact us today, and see if testosterone injection therapy is right for you? Most patients find the muscle on the outside of the upper thigh to be the easiest injection site to access. 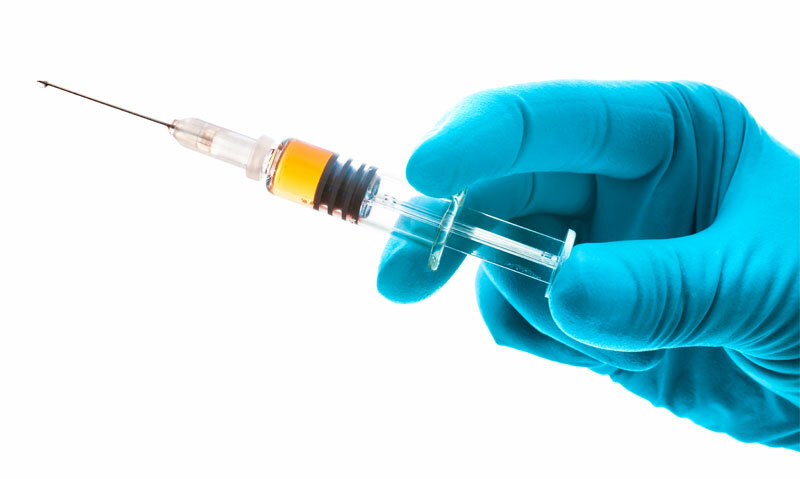 Wherever you choose to inject your testosterone, proper care must be taken to avoid infection and other complications.